NOTE: This is a guest post written by Ryan Biddulph, the Blogger From Paradise. Ryan is an international bloger and author. You can read his story elsewhere on this page. This post is a collection of some of his best tips for improving the quality of your blog writing. If you are having a heck of a time driving blog traffic or profits your posts may lack the depth and quality to convince readers to buy in. Struggling terribly in this department feels confusing, frustrating and may have you thinking about quitting blogging all together. You appear to be doing everything right but are still failing. Take a deep breath. Relax just a little bit. You don’t need to do more or work harder. You likely need to improve the quality of your blog posts. Nobody gets rewarded for the simple act of publishing posts, but successful bloggers reap sweet benefits by publishing quality, in-depth, problem-solving posts. Follow these tips to improve the quality of your blog posts. Write 1,000 words every day to practice. Open a Word document. Reach your desired word count. Trash the document. Following this writing ritual improves the quality of your blog posts quickly because writing is the one skill you need to develop to impress readers. Long form posts impress. Short posts rarely do. Focus heavily on blog post quality and little on blog post quantity to make the greatest impact with your blog. Write 1500 word or longer posts to both appease your readers and Google. Long posts rank better on the big G. Long posts also influence readers to a greater extent. Pull back on posting frequency if you want to boost the quality of your blog posts. It’s better to publish meatier, thorough, resource-style posts than to churn out thin, valueless posts more frequently. Add images to your blog posts. Share eye candy to improve the quality of your blog posts. You think in pictures. Image-free posts give readers too much leg work. But using 2-3 images in each post both does some of your reader’s legwork and also makes for easier scanning. Quality posts are rich in text content and imagery. Add a few images to each blog post to give readers a sense of contrast and to make their job easier. Link into other posts from your blog. Create a link-heavy resource to boost on page SEO and to create a quality resource for your audience. Link into related, older posts on your blog. Lower your bounce rate. Give readers something to chew on. Link out to respected blogs or sites to add quality to your blog. Linking out adds credibility to your posts. Linking to authority sites gives your blog greater authority through the power of association. If readers see links pointing out to top tier blogs through your blog they are likely to see your blog in a different light. Your credibility expands on multiple levels. I like letting my blog posts sit for at least 1-2 days before publishing. The post either ages gracefully or receives touch ups to add value to the offering. Blogging tips hungry bloggers should read blogs like Problogger.net to follow a quality resource. Not only does this blog offer tips to add value to your posts but you’ll also expose yourself to high value posts, podcasts and eBooks which influences your blog and brand. 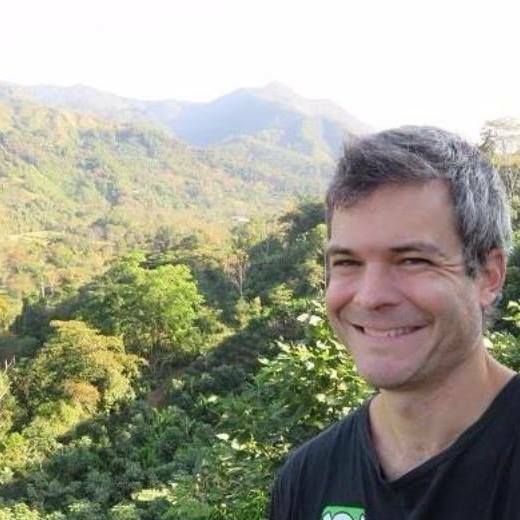 Ryan Biddulph is a successful blogger and author. As a digital nomad, his popular blog Blogging From Paradise has reached enormous audiences across the world. 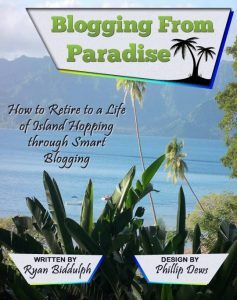 Ryan’s bestselling series of Blogging From Paradise books are available from Amazon and his website. Ryan’s posts have been featured on 200 blogs including Richard Branson’s Virgin Blog, Forbes, NeilPatel.com, ProBlogger and BloggingTips.Com. Ryan has achieved all of this whilst living the life of a true digital nomad hopping from Bali to Nepal, Turkey, Sri Lanka, Peru – the list is almost endless. If you want to become a blogger from Paradise too, get in touch with Ryan, he’s the expert.